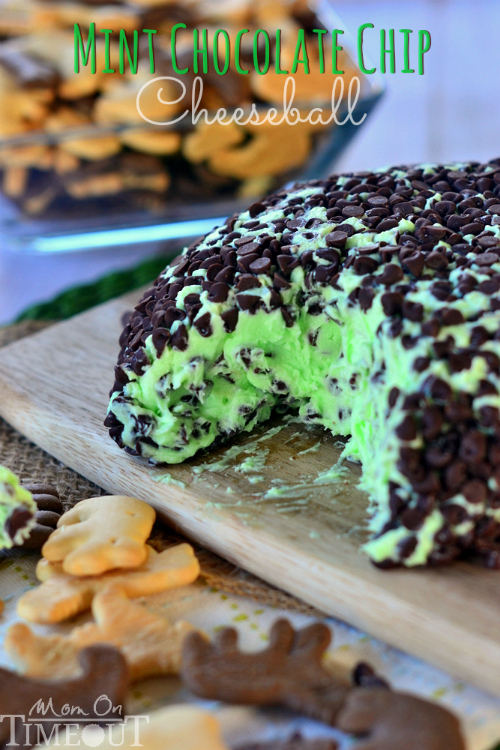 I had to get this post up today before we leave for Disneyland tomorrow….cause I know you’re going to want to make this on Sunday! I’ve had this idea rolling around in my head for MONTHS and I finally took the time to put it all together this week. It’s one of those rare times that the finished product looks exactly like what I envisioned it would. And it tastes even better. 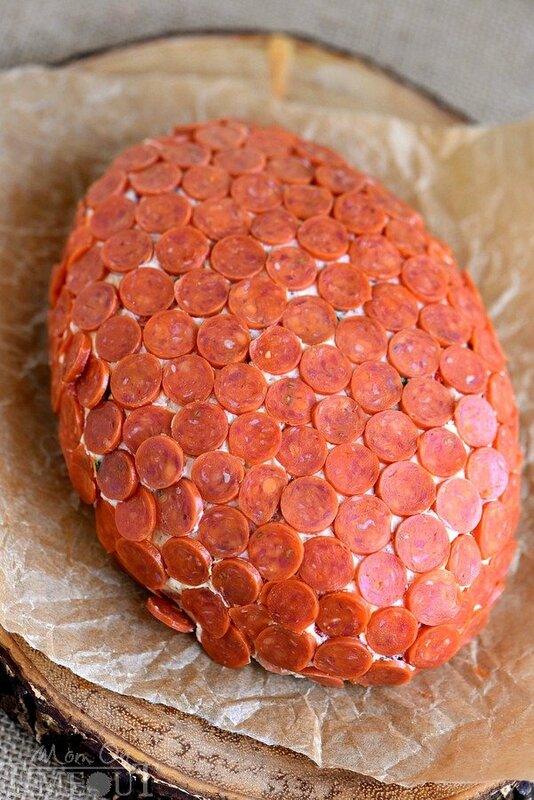 I whipped together the cheese ball a few days ago and then sat down today, watched an episode of Scandal and got all those mini pepperoni slices on the outside. What I really should have been doing was packing, but I love you guys. And I want you to make this because man oh man is it GOOD. 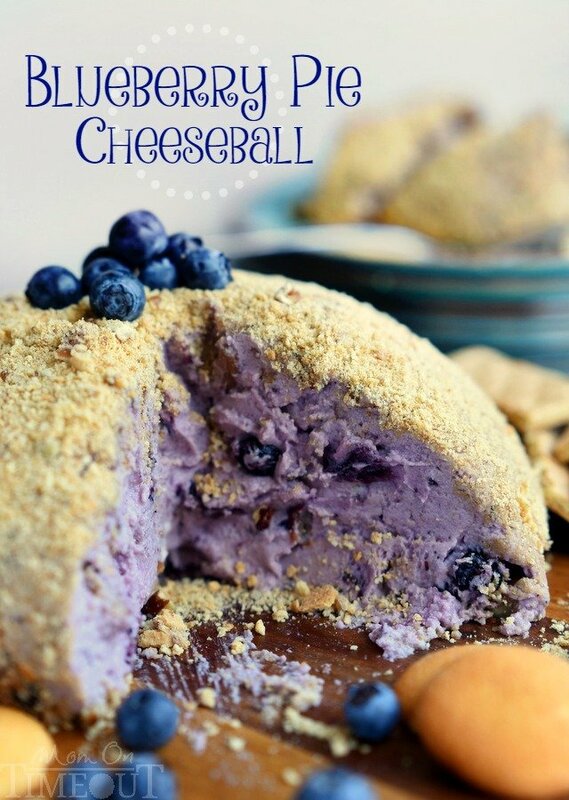 What’d I put in this cheese ball you ask? Love. Love and lots of cream cheese, mozzarella cheese, Parmesan cheese, green onions, pimientos, bacon bits, Italian seasoning, green onion, and, of course, pepperoni. Off to the fridge for a few hours to chill and then it’s time to watch Scandal and put on the pepperoni. If you aren’t watching TV at the same time, this should take about 5 minutes. Do as you must. I finished off the football look with some mozzarella cheese for the laces. Easy peasy. 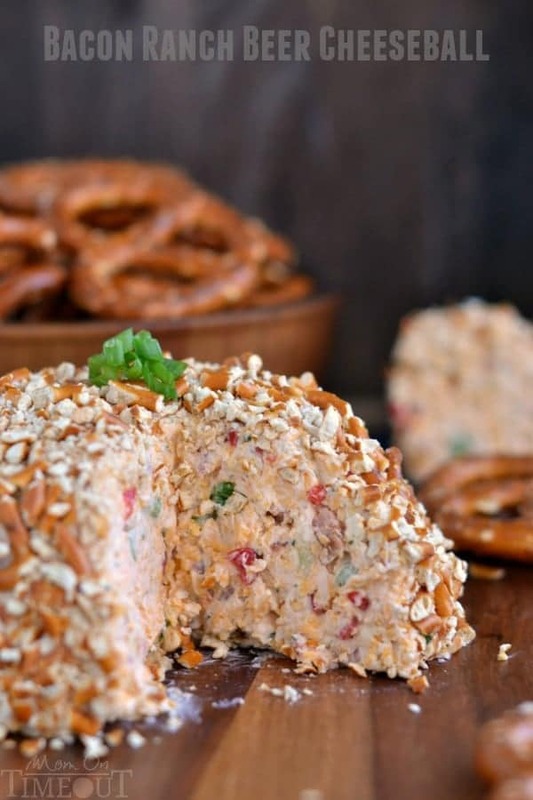 Serve the cheese ball with pretzel, bread sticks, crackers, veggies, whatever you have on hand. I tried them all and they were all good. The flavor of the cheese ball is just off the chain. 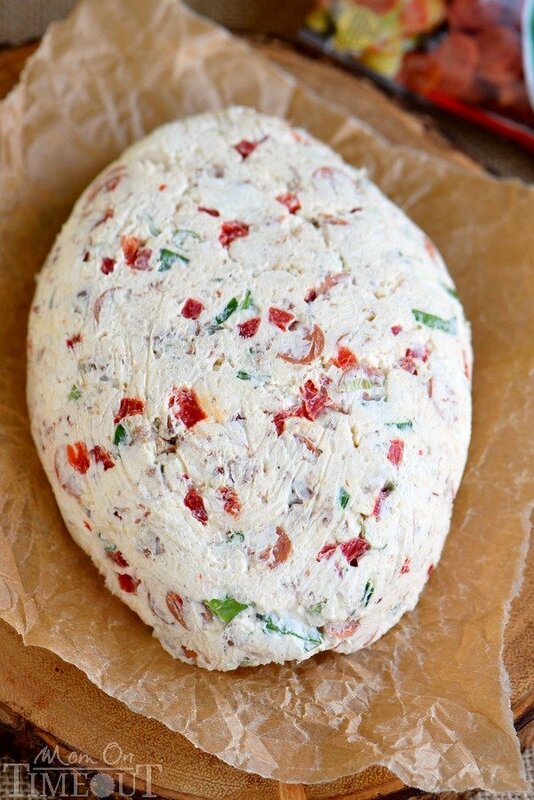 The longer the cheese ball sits in the fridge the more those flavors will marry so if you’ve got the time – use it. Touchdown! Serve with pretzels, bread sticks, crackers, and veggies. More cheese balls you need to try! I’m going to make it for my son for the Super bowl, he always has a party. This looks great can’t wait to try! This will for sure be a hit! 1. Can I make the cheese a night before? Then add the pepperoni and such the next day? 2. This seems like it would be small. I’m brining for tomorrow’s game and we have about 15 adults. Wondering if I should just double the recipe? Make 2 little footballs? 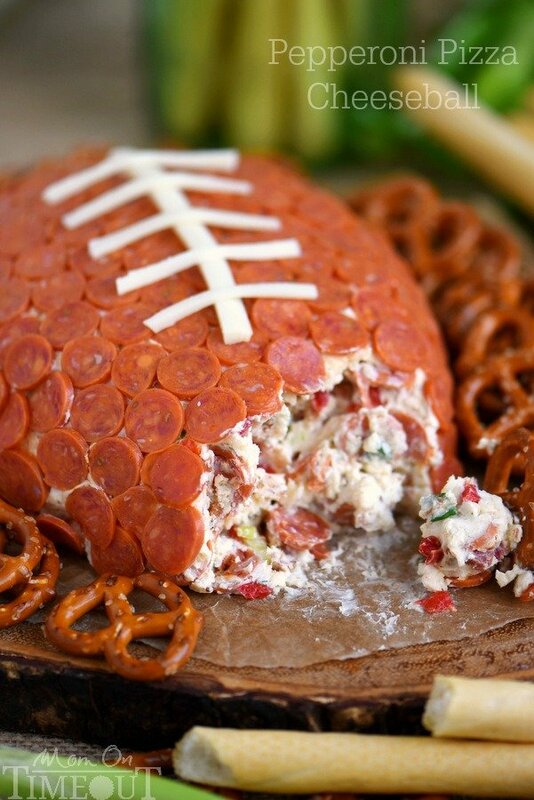 How do u get the pepperoni to stay on the cheeseball? Mine kept falling off. 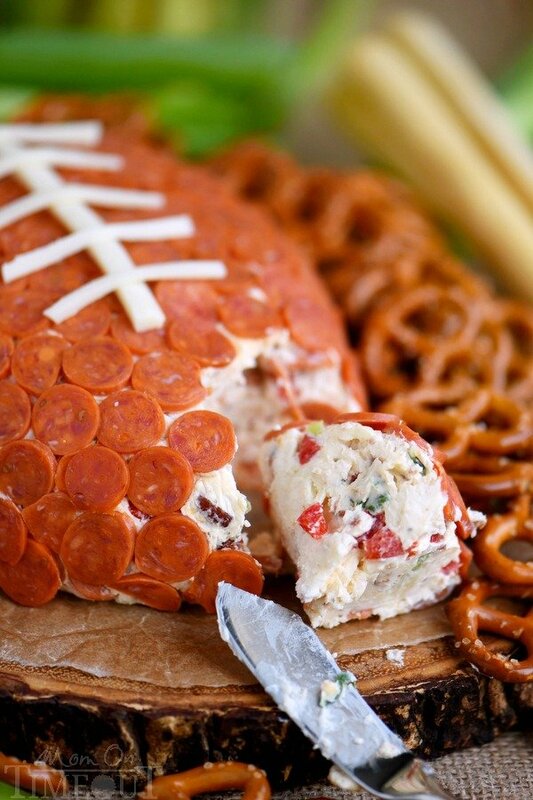 Your cheese ball should be sticky enough for the pepperoni to stick…. If it isn’t, let it sit out for 10 minutes and then stick them on. You don’t mention cooking the bacon. Do you just use it raw? Yup, raw. Kidding! 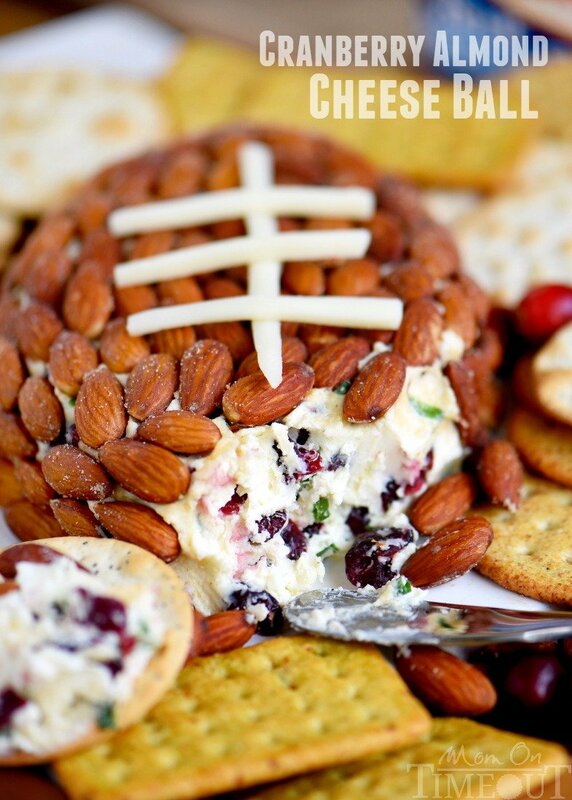 I kind of assumed that no one would put raw bacon in their cheese ball lol! Just updated the recipe to reflect the fact that only COOKED bacon should be used. Thanks! 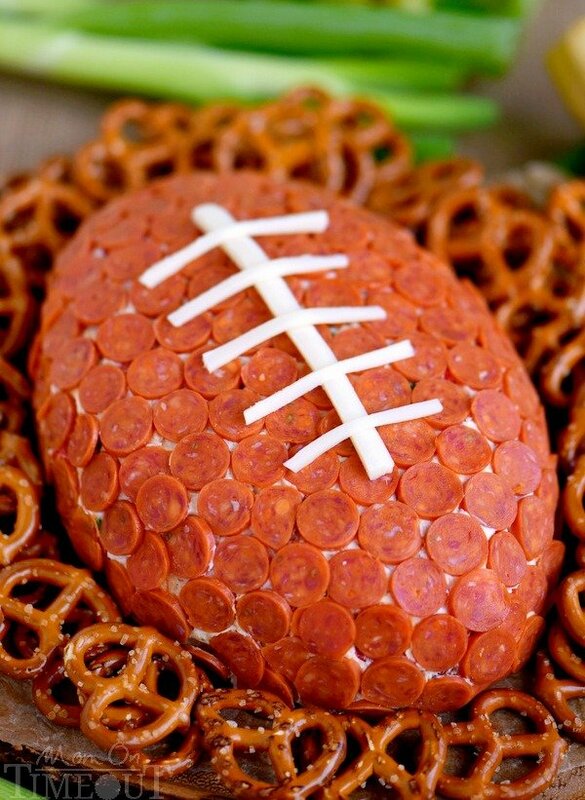 I made this for last week’s Super Bowl, and everyone LOVED it, even the picky eaters! This recipe is definitely “a keeper” for my recipe box. That’s awesome Kathy! Thank you!